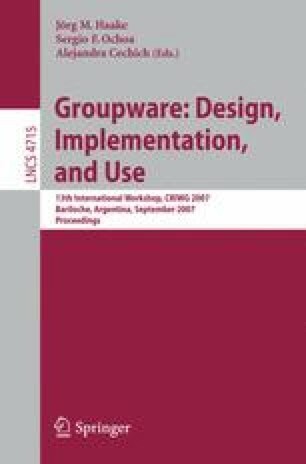 Web-based cooperative systems hardly use approved user interface concepts for the design of interactive systems and thereby aggravate the interaction of the users with the system and also with each other. In this article, we describe how the flexibility and usability of such systems can particularly be improved by supporting direct manipulation techniques for navigation as well as tailoring. The new functionality for tailoring and navigation is complemented by new forms of visualizing synchronous awareness information in web-based systems. We show this exemplarily by retrofitting the web-based collaborative system CURE. However, the necessary concepts can easily be transferred to other web-based systems.